The Tamarillo (tree tomato) is a fast growing attractive shrubby tree originally from South America. About two years ago, I planted one in my garden and then forgot about it. The next time I looked it was three metres high, and this summer it produced its first crop. Unfortunately, because I neglected to prune it I now have to stand on my compost bin or drag out a ladder to collect the fruit. As Tamarillos only last 3-5 years I’ve already planted its replacement – but this time I will be pruning it at one metre! There appear to be many methods for poaching Tamarillos, but a bit of experimentation resulted in the following simple recipe which works for me. 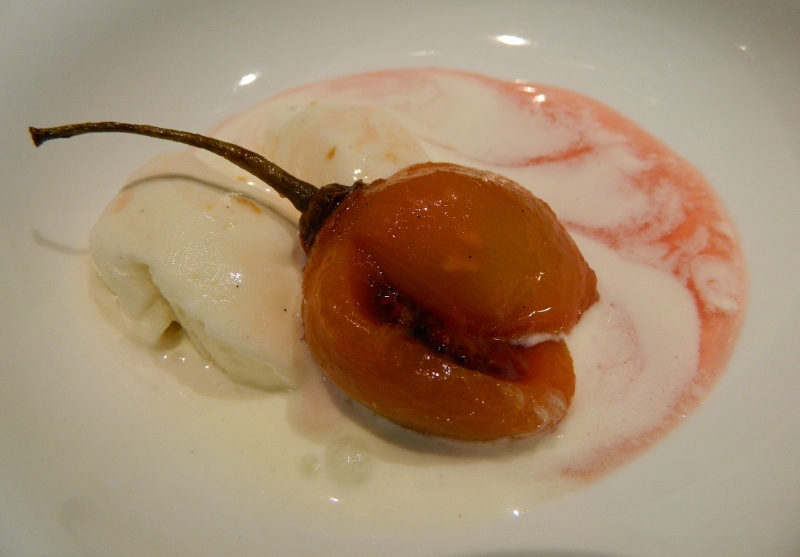 Next year I am going to try and come up with a recipe for Sweet Chilli & Tamarillo sauce. Make a small cross cut in the tip of each tamarillo, put them in a heatproof bowl and pour boiling water over them. Leave for 2 minutes and then pour off the boiling water. Once they are cool enough to handle, peel off the skin carefully leaving the stems intact. In a large saucepan, bring the sugar and water slowly to the boil, stirring regularly. Add the vanilla and the tamarillos and simmer gently for 5 minutes. If the tamarillos are large, you may have to cook them in batches. Remove the tamarillos and when they are cool enough to handle, make a slit the whole way up the tamarillo to the stem. Put the split tamarillos and the syrup into a bowl and cool for at least 2-3 hours in the fridge. The longer you leave them the pinker the syrup will go. Serve with a good quality vanilla ice-cream or perhaps a pannacotta.